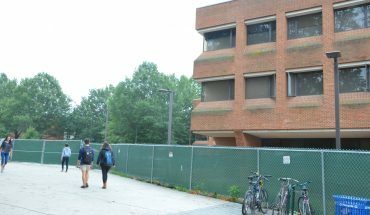 As students have noticed, Mason has recently undergone major changes to its Fairfax campus, from demolishing Robinson Hall A to the introduction of food-delivery robots. However, one project that many students might be surprised to notice is the removal of the water tower. 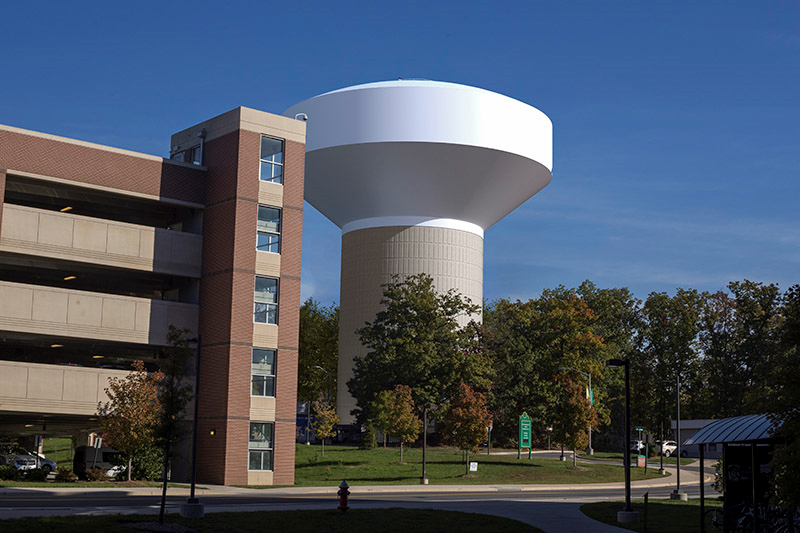 Michael Sandler, Mason’s director of strategic communications, and Susan Miller, Fairfax Water spokesperson, sat down with Fourth Estate to both discuss the project and what Mason students should expect from the water tower’s removal. Q. Why is the water [tower] being removed? A. To improve service to customers, Fairfax Water will be replacing its existing water storage tank located on the Fairfax campus of George Mason University (GMU). The existing tank controls water pressure on the campus, as well as surrounding areas in Fairfax County and the City of Fairfax. These areas experience delivery pressures that are lower than those typically experienced elsewhere in Fairfax Water’s system. Q. Why was the water tank initially built on the Fairfax campus? A. The tank was built in the 1970s by the City of Fairfax. The City owned and operated the tank until 2014, when Fairfax Water acquired the City’s distribution system. The tank serves as water storage for the area and to help increase water pressure. With increased development in the area since the ’70s, a new tank is needed for additional storage, to improve water pressure and to improve fire protection on the campus. Q. Will something replace the water tank? A. A new tank will be constructed on the same site as the previous tank between University Drive and Sideburn Road. The replacement tank will be taller than the existing tank, which will increase delivery pressures to customers in the areas shown on the map shown here.Changes to the style of the tank will also ensure water quality will be maintained. Q. What can Mason students expect from [the water tank’s] removal, such as traffic, parking issues, blocked entrances/pathways? A. The tank was removed during winter break, minimizing the noise impact on students. There will be some construction trucks and traffic into and out of the area of the tank site during peak construction periods. Q. How will the removal of this tank affect the Child Development Center (which is situated near the water tank)? A. 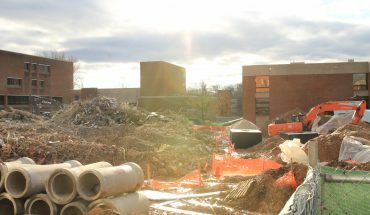 The removal of the old water tower was conducted during winter break, when the Child Development Center (CDC) was closed and unoccupied. 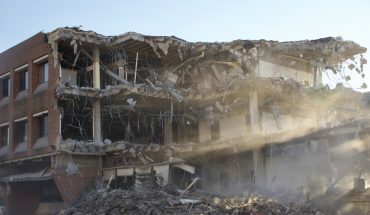 After tower demolition was completed, George Mason University conducted testing in and around the CDC to screen for lead contamination. All interior sample results were below the EPA clearance level for lead in child-occupied facilities, but surface dust in outdoor play areas was found to contain elevated levels of lead. Based on the results, the outdoor play areas remained closed and were not reopened until the clean-up was complete. The university hired an environmental contractor to conduct a thorough cleaning of all outdoor surfaces, structures and play areas. In order to ensure the safety of the children, parents and staff, the CDC was closed for one week during the cleanup process. Following post-confirmation testing, the CDC was cleared by the Fairfax County Health Department for normal operations, which resumed on Jan. 29. Moving forward, the construction of the new water tower will involve heavy construction equipment, so construction may create loud noises that can be heard inside the CDC or other nearby buildings. 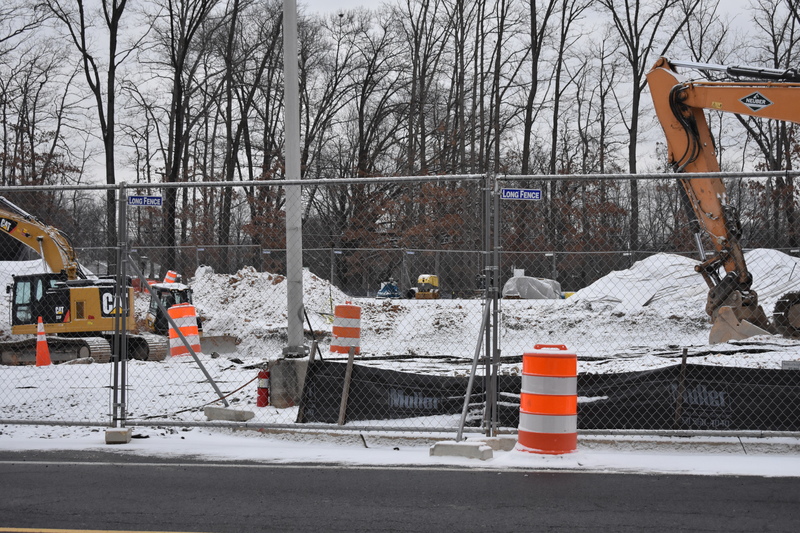 Mason’s Environmental Health and Safety Office will be monitoring noise levels during the construction process and will be working with Fairfax Water to keep noise below acceptable levels. The water tower project also necessitated closure of the driveway loop at the CDC to separate the CDC parking lot from construction vehicle traffic. This has altered the previous drop-off and pick-up procedures for Child Development Center parents and children.